DimensionsHeight: 21 in. (53.34 cm) Width: 48 in. (121.92 cm) Depth: 20 in. 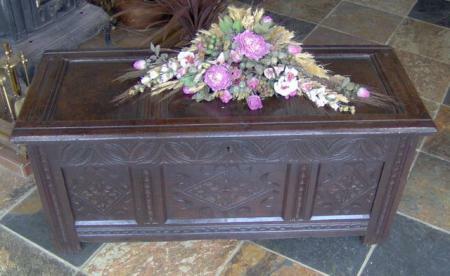 Description / Expertise: 18th Century Yorkshire Carved Oak Kist. Ref. 2428.